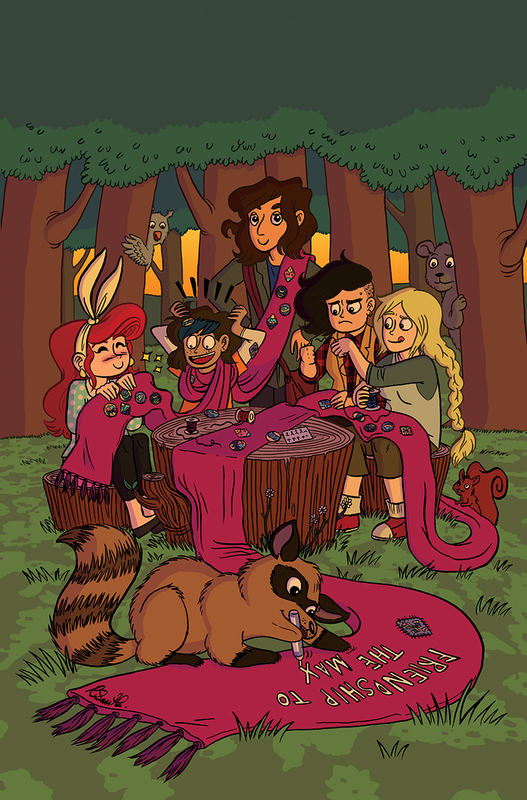 I'm super excited to finally show you guys the cover I did for Lumberjanes issue #29!! Some of you might have seen little snippets of it, but here it is in all its glory! The issue should be out this month from Boom! Studios and available in all good comic shops! I've adored Lumberjanes ever since I read the first trade, so to be able to draw them on a cover was a BIT of a dream come true for me!